Every year, my chives come up bigger and better. And every year, I get a beautiful crop of chive blossoms. I always think about doing something with the blossoms, but forget to nab the blossoms before they wilt. This year I decided to make chive blossom vinegar! ** I read here that you don’t want to use a metal lid (such as a mason jar lid) because the vinegar will erode the finish, and I don’t like to have plastic come in contact with such an acidic food, so be careful about what kind of lid you use or filling the jar to the top. I used a mason jar lid with the plastic coating on the underside, and I had to throw it out because the scent of the chive vinegar was so strong and I couldn’t wash it away (despite multiple washings and soakings). 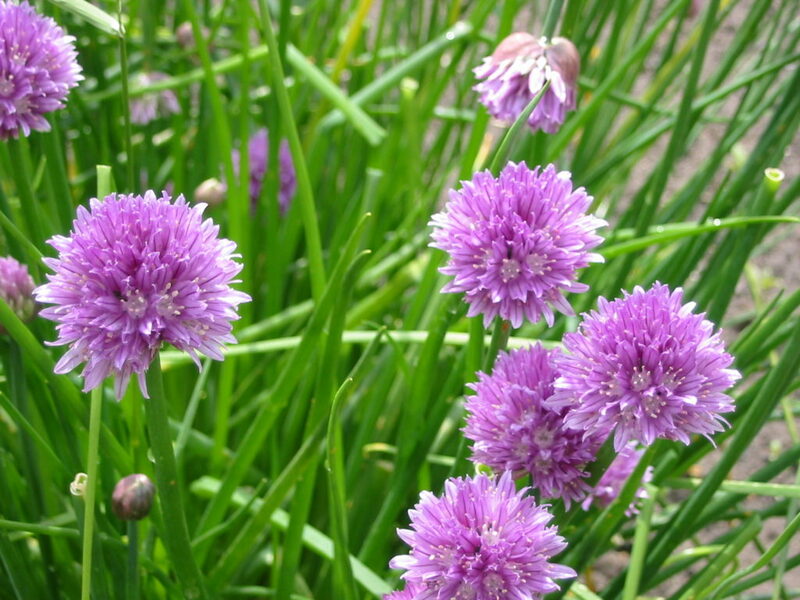 Clip your chive blossoms and carefully wash them. You want to clean them thoroughly to remove any debris, bugs, etc. 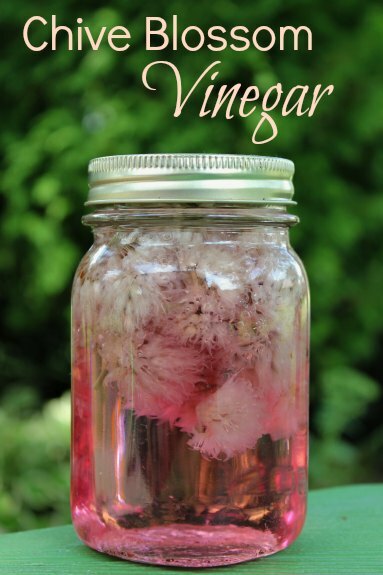 Fill a small jar with white vinegar, allowing room to add the blossoms (and I left room for some air at the top of the jar). This could be any size jar, as long as the mouth is wide enough to be able to remove the blossoms later. Add your blossoms – I used a large handful. Close the jar tightly with the lid. Allow your jar to sit in a cool, dark place. I let mine set for a while (a few weeks) and the flavor become quite strong (too strong, in my opinion). Honestly I think it gets strong quickly, so if you are looking for a hint of flavor, check it early, as you will see the color from the blossoms release into the vinegar fairly quickly. Strain your vinegar carefully with a fine strainer to remove any particles or debris that weren’t removed by washing.